Beyond the farmers market tent, small businesses are making big impacts. Sweetwater Baking Company, located in the heart of Camphill Village in Kimberton, PA, is no exception. Natalie and Saul Schwartz moved their business from Virginia to the Camphill Village, where it now serves as a keystone in the agriculture-based intentional community for adults with disabilities. 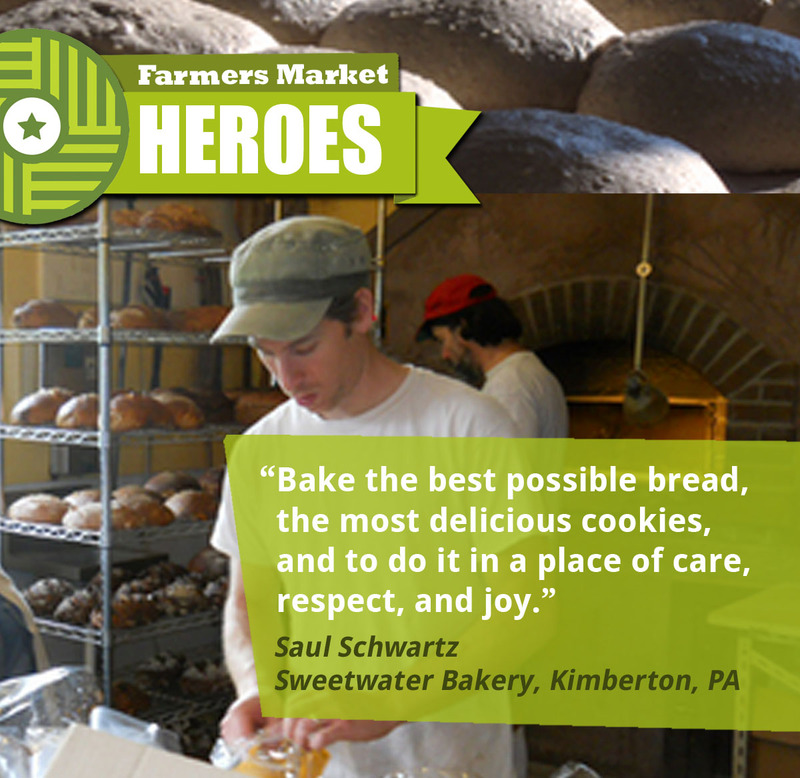 Sweetwater Baking Co. is an anchor vendor at the Phoenixville Farmers Market. The spirit of giving back to the community is at the core of the Schwartz’s business. Many of Camphill’s residents learn vocational skills through their daily work at Sweetwater Baking Co, and several employees from outside of Camphill have apprenticed with the Schwartz’s before launching their own businesses. Sweetwater’s goal is to “bake the best possible bread, the most delicious cookies, and to do it in a place of care, respect, and joy.” Natalie and Saul utilize the freshest, healthiest local ingredients in their baking. They use organic ingredients when possible, grind their whole grain flour in a slow moving stone mill, and use unbleached flour directly from a mill in Minnesota. They also make their own cultured butter out of local cream. Everything is naturally leavened. Natalie and Saul have grown a socially conscious and sustainable business whose end is much greater than the sum of its parts. In that spirit, they have generously offered a gift of their delicious and nourishing sourdough bread, cookies, and granola to five new Farmers Market Coalition members that join or donate during the early days of Hanukkah and Thanksgiving this week. When farmers, bakers, and the many creators come together on market day we don’t always see the broader impact that these businesses have on the people around us. This week, you can celebrate, give thanks, and support the many ways that your farmers market has nourished you and your community, by giving the gift of a Farmers Market Coalition Membership. Donate in the name of your local market or farmer, and they’ll have access to FMC information, network and advocacy tools for one year! Or, you can join FMC at the level that is right for you! All donations and memberships through Friday, November 29, will qualify for a chance to receive the baked goods from Sweetwater Baking Company.